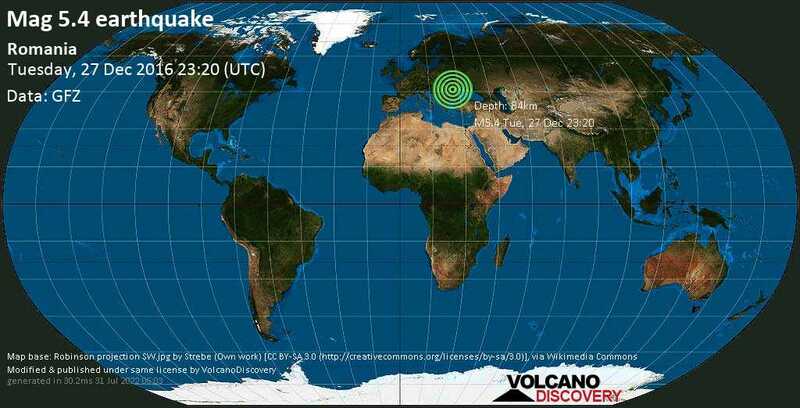 Dec 27 23:24: Magnitude recalculated from 6.0 to 5.7. Hypocenter depth recalculated from 14.0 to 16.0 km. Dec 27 23:24: Magnitude recalculated from 5.7 to 5.6. Hypocenter depth recalculated from 16.0 to 19.0 km. Dec 27 23:25: Magnitude recalculated from 5.6 to 5.5. Hypocenter depth recalculated from 19.0 to 18.0 km. 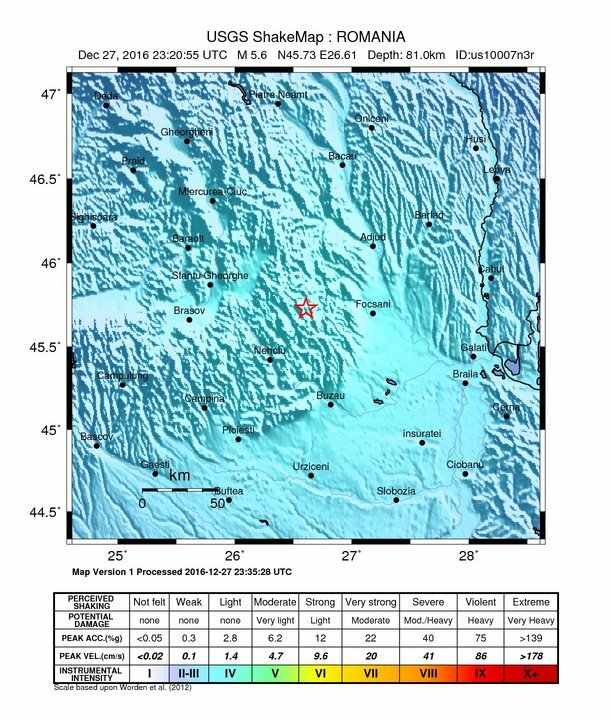 Dec 27 23:26: Magnitude recalculated from 5.5 to 5.4. Hypocenter depth recalculated from 18.0 to 21.0 km. Hypocenter depth recalculated from 21.0 to 72.0 km. Hypocenter depth recalculated from 72.0 to 83.0 km. Hypocenter depth recalculated from 83.0 to 82.0 km. Hypocenter depth recalculated from 82.0 to 84.0 km.